Frank Perrott is a partner in the Sacramento office of Lewis Brisbois and a member of the Construction Practice. Mr. Perrott, one of the Central Valley’s most experienced construction lawyers, specializes in all aspects of construction law, including the negotiation and drafting of contract documents for private and public works, counseling regarding insurance and risk management, the prosecution and defense of contract, mechanic’s lien, stop payment, and bond claims, and the resolution of all manner of construction-related disputes through mediation, arbitration, and jury trial. Mr. Perrott’s clients include public agencies, schools, and regional, national, and international contractors, developers, architects and engineers. Mr. Perrott is also frequently engaged by professional liability insurers to provide consultation to architects and engineers throughout the United States regarding best contracting and risk management practices. 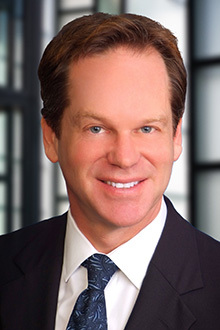 In addition to his construction law practice, Mr. Perrott represents parties in other business-related disputes, including disputes involving commercial loans, the manufacture and sale of goods, the misappropriation of trade secrets, and real estate development. A licensed real estate broker, he also drafts and negotiates commercial and residential leases and purchase and sale agreements. Mr. Perrott’s recent experience includes the prosecution on behalf of a school district of a multi-million dollar claim concerning 15 separate projects against a design-build contractor, a lengthy arbitration defending a public agency against a contractor’s delay and disruption claims, the recovery on behalf of a general engineering contractor of millions of dollars from sureties and lenders in connection with failed residential developments, and the defense of an engineering firm against the claims of public agencies and homeowners arising out of a large landslide. Lead attorney for the successful appellant in Cal Sierra Construction, Inc. v. Comerica Bank (2012) 206 Cal.4th 841, in which the Court of Appeal held that a construction lender’s use of an expedited law and motion procedure known as a “Lambert motion” to finally adjudicate a contractor’s stop notice claim deprived the contractor of its due process rights.